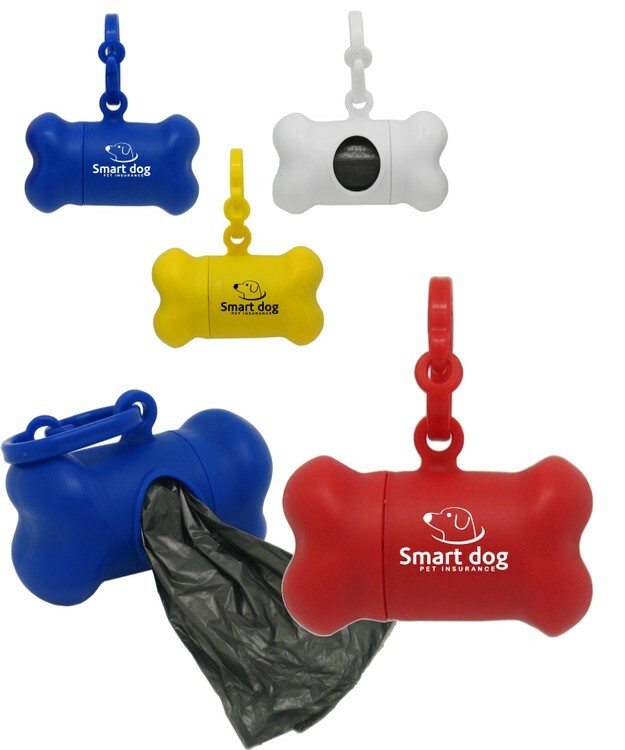 Union Printed, Bone Shaped Pet Waste Bag Holder, for Hands-Free poop bag holding when your Pet has done its business, attach to any standard or retractable leash, so you'll always have poop bag when you need it, dispenses one at a time, when it's time to refill, simply twist off the top and reload, this bag dispenser includes 15 Bags, Great Promotion for Veterinarians, Pet Stores, Kennels, Dog Shows and much more. Decorated in our Union Shop - Union Bug Available at No Charge! • Imprint Area: 1" x .75"